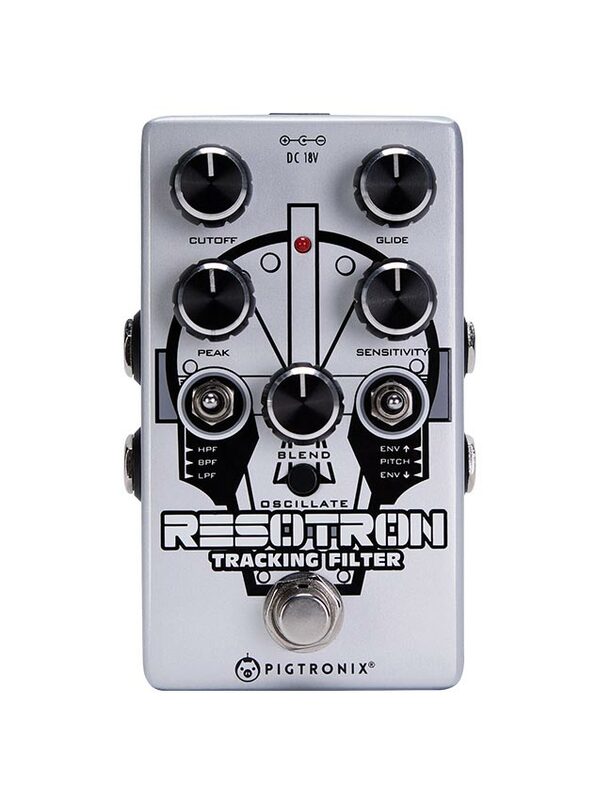 Pigtronix Resotron is an analog filter that puts the sound ’70s keyboard synthesizers at the fingertips of guitarists, bassists…and beyond! The filter at the heart of the Resotron is based on the SSM2040 chip, found in the legendary Prophet 5 and Octave CAT synthesizers. 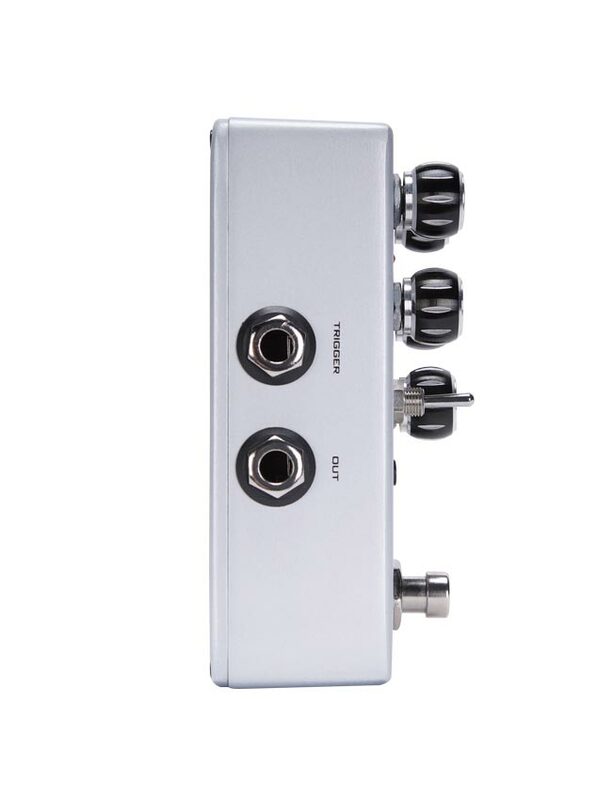 This 24db/octave, state-variable filter provides the full gamut of familiar envelope filter sounds with UP and DOWN sweeping modes, and a sensitivity control to dial in the response of the effect based on how hard you play. 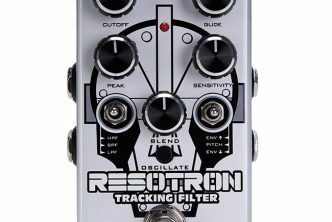 In addition to a slew of vintage-correct filter tones, the Resotron pushes the envelope pedal concept to a whole new level by using an analog pitch-tracking system; this function moves the cutoff frequency of the filter up and down. 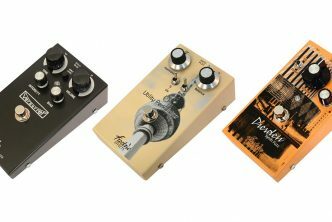 The pitch-following filter effect found in the Resotron moves around based on the notes you play as opposed to how hard you play. 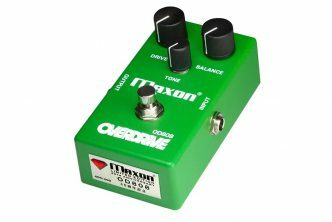 The Attack time and Rate of filter motion can be adjusted – using the Glide knob – to dial in how long it takes for the cutoff to travel between pitches. 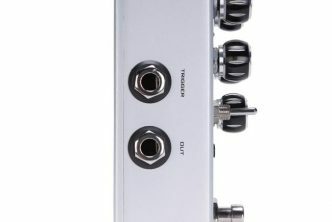 The Resotron has the ability to operate in Low Pass, Band Pass or High Pass modes. 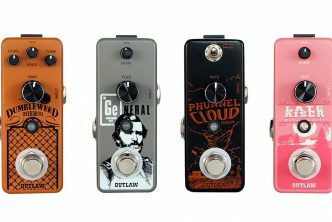 Each of these filter voices has a distinctive character that can be manipulated by adjusting the PEAK knob, progressively feeding the filter back upon itself to increase the resonance (or “Q”) of the filter, right up to the point of self-oscillation. 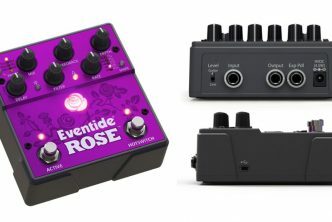 A push-button OSCILLATE function allows you to go even further – turning the Resotron into an analog synthesizer pedal that follows both the pitch and dynamics of your playing. 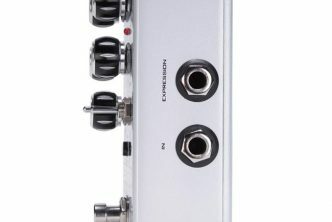 The synthesizer sounds created by the Resotron can be radically altered by switching between the LPF, BPF and HPF modes. 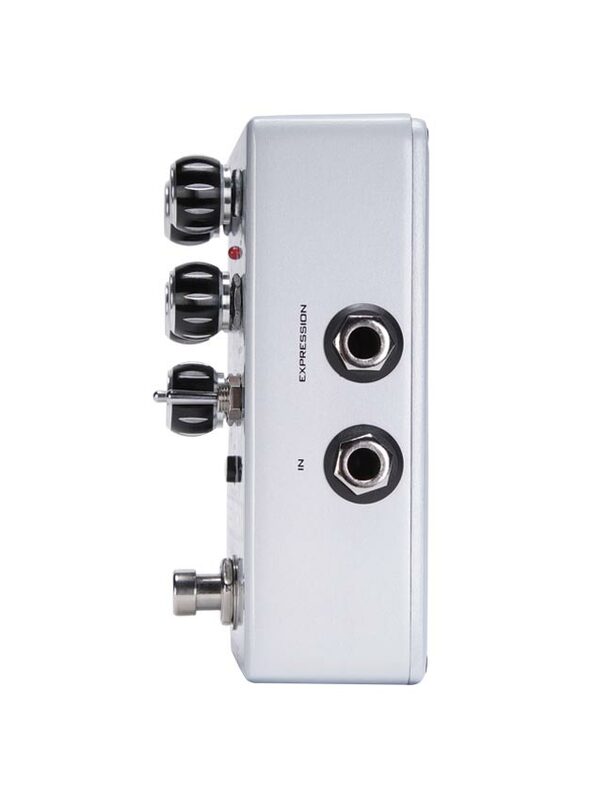 This allows users to access waveforms that range from subtle voice emulations to bombastic, aggressive lead sounds, as well as ultra-smooth sub bass tones.